Morning arrival in Delhi. 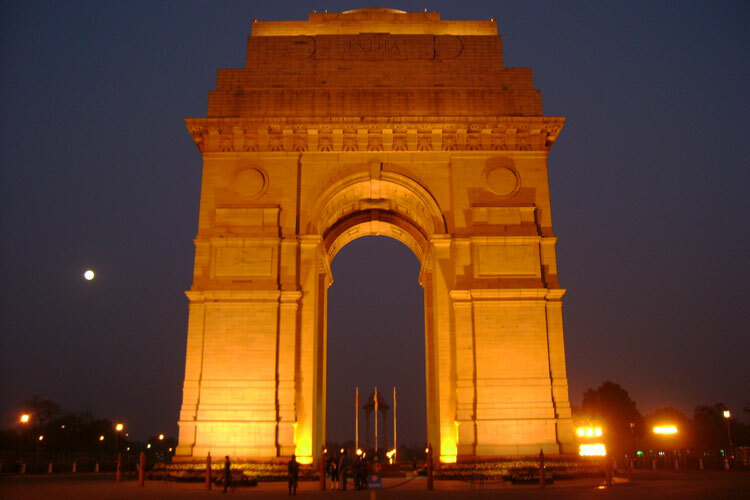 The cosmopolitan City and capital New Delhi is the main gateway for travelers. Upon arrival, you will be met by our representative and transferred to the Hotel. 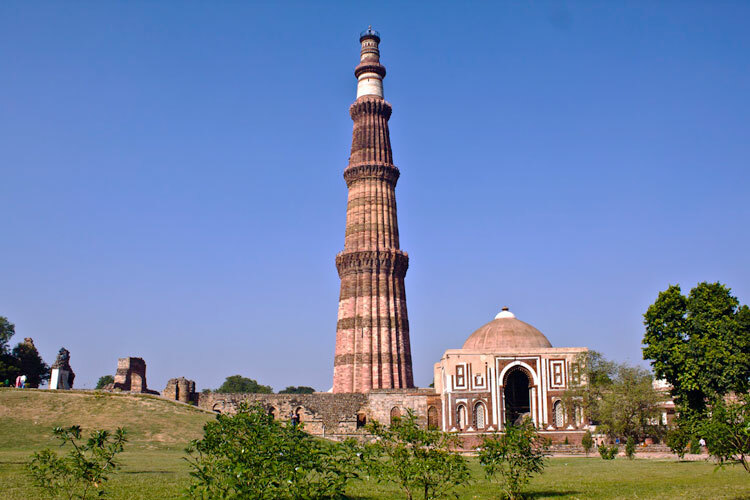 Afternoon sightseeing in Old Delhi.include red fort, old city, Jama Masjid, “Kutab Minar” which is 71 meter high and was constructed in 1199. Morning after breakfast visit New Delhi where we see the India Gate, Government Buildings and Embassies & Local Markets. Afternoon visit Agra Fort, built by three of the greatest Mughal emperors. Evening at Leisure. 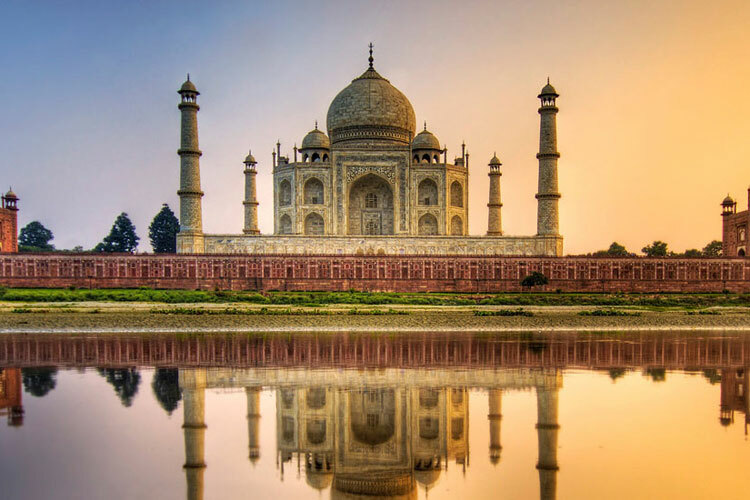 We start today our sightseeing by a visit the most beautiful monument of India, the Taj Mahal, an enduring monument to love, with a continually fulfilling beauty. 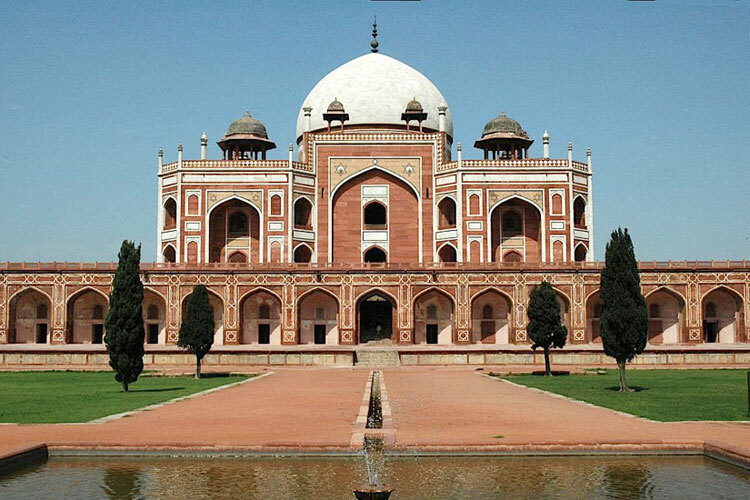 It was built by the Mughal Emperor Shah Jahan between 1631-52, as a tomb and memorial to his beloved wife Mumtaz Mahal (Jewel of the Palace), who died at the age of 39 giving birth to her 14th child. 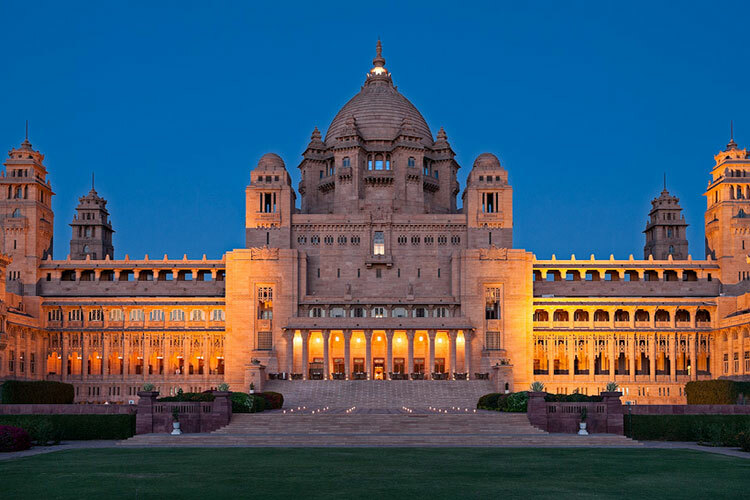 We spend enough time at Taj Mahal to take this impressive memory home. After the visit of Taj Mahal we have a look at the famous fine marble inlay work which is still being done in Agra by the descendants of the families of builders and artists of the Taj Mahal. Today drive to Jaipur, Enroute we make a stop and visit Fatehpur Sikri,This wonderful city constructed by red sand stones was abandoned as abruptly as it had been built. It has been generally stated that it was due to failing in the water supply. 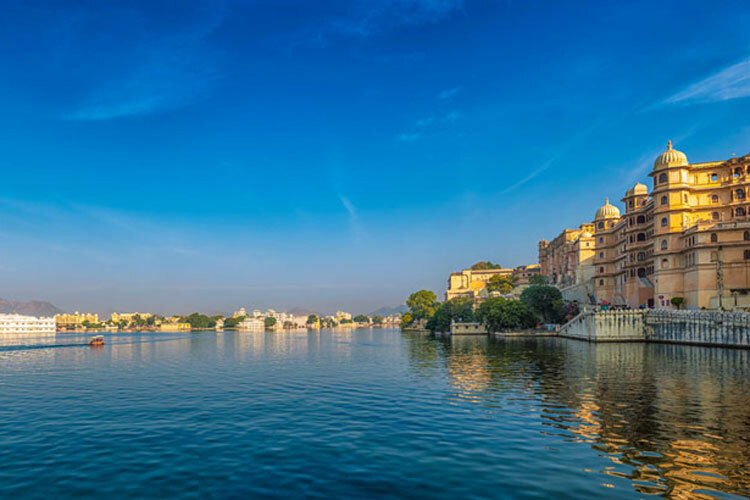 After the visit of Fatehpur Sikri drive to Jaipur, Jaipur is the capital of Rajasthan and famous for its handicrafts and precious and semiprecious stones. 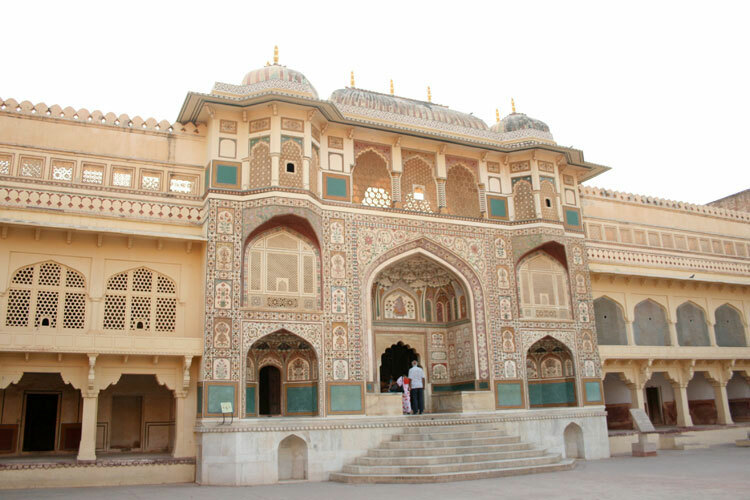 After a break in Jaipur we visit the city palace in the afternoon which is still the formal residence of the royal family, built in a blend of the Rajasthani and Mughal architecture. 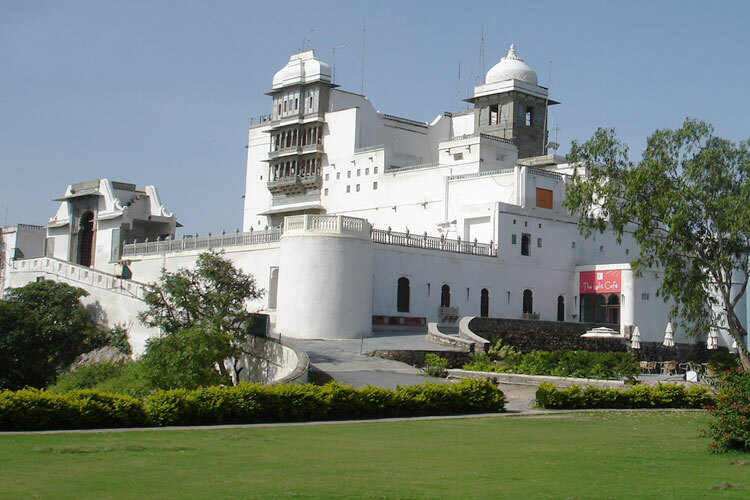 In the museum of the city palace we visit the private collection of the Jaipur Mahrajas. 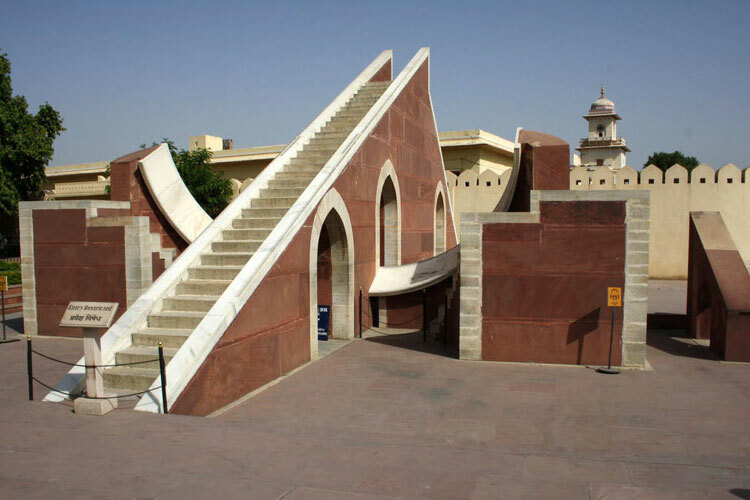 We continue to Jantar Mantar, a stone observatory, the largest of Jai Singh’s five remarkable observatories. After breakfast we drive to the ancient capital of Amber, laying 11 km. away from Jaipur. Amber was the ancient capital of Kachhawaha dynasty for 6 centuries. We will ascend to the Palace Fortress on the back of an Elephant. 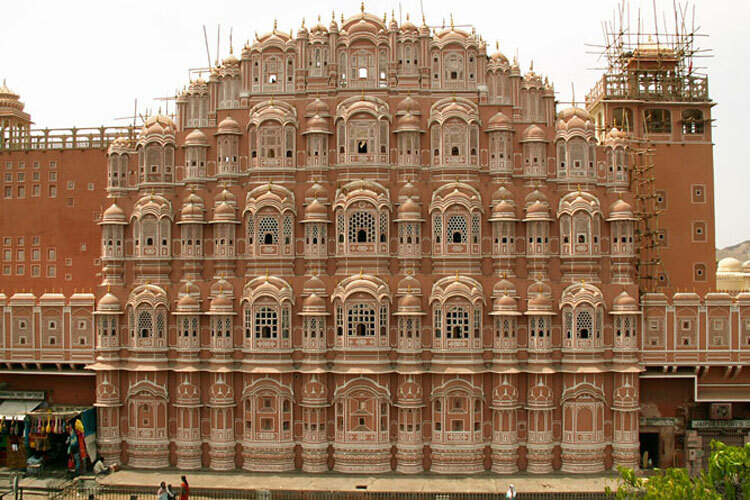 Enroute to Amber we will visit the Hawa Mahal (Palace of the Winds), built in 1799 AD, it contains 953 small casements with each having its own balcony. The windows enabled cool air to circulate and the ladies to watch processions below without being seen.In the afternoon we have a walk through the colourful Bazaar of Jaipur and visit a factory to see the famous block printing work being done since centuries in Jaipur.In the evening we drive through the new city of Jaipur and visit “Laxmi Narayan Mandir”, a Hindu temple made out of white marble. Optional : Today we have dinner with a presentation of Indian music and dance at Chokhi Dhani. 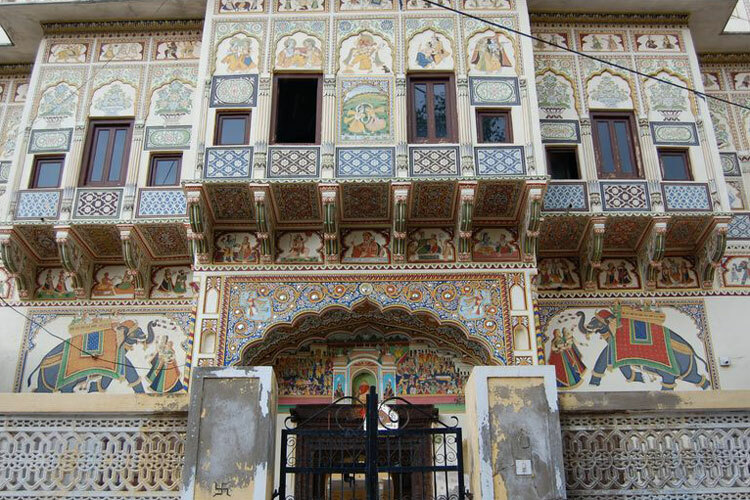 In the morning, drive to Mandawa, an interesting village in the Shekhawati region. Check in at the hotel and visit the famous 18th and 19th century Havelis, famous for their beautiful frescoes and paintings. Overnight stay at hotel. After breakfast drive to Bikaner. 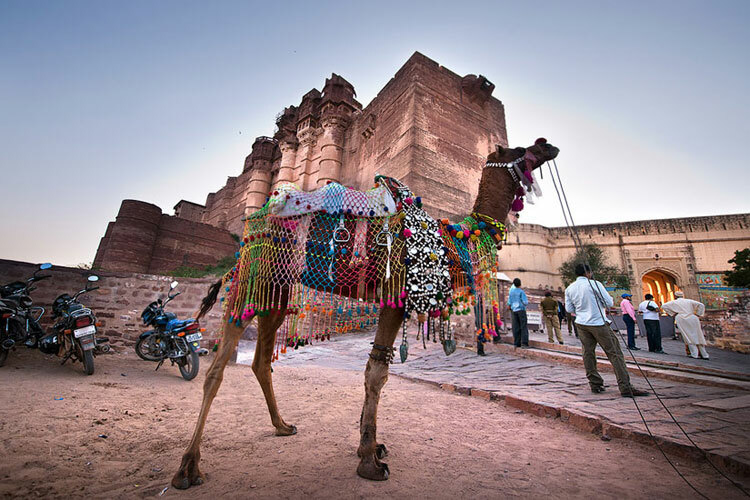 Bikaner is known as wild west, dotted with old reminiscences of royal clans of warrior class, beautiful women, its camel breed, wealthy trading class and rugged features. 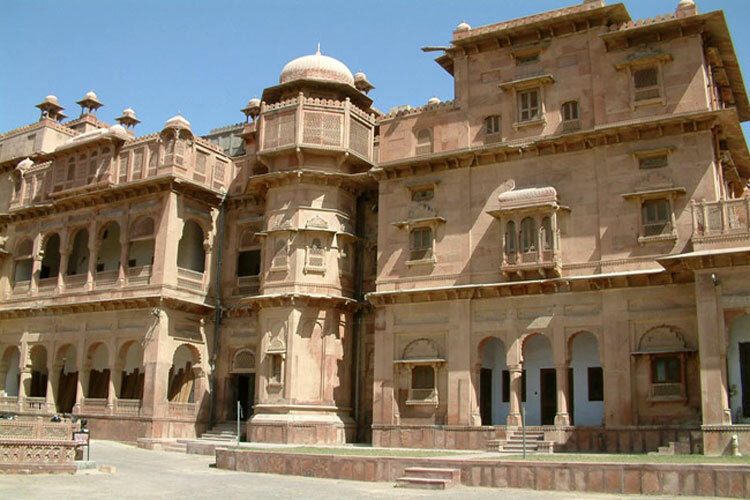 Bikaner state was established in 1488 by Rathore Rajputs. It is also a Pink City. Its castles and Fort are internal decorative with floral, God and Godesses designs and pictures. These havelis are worth visiting. 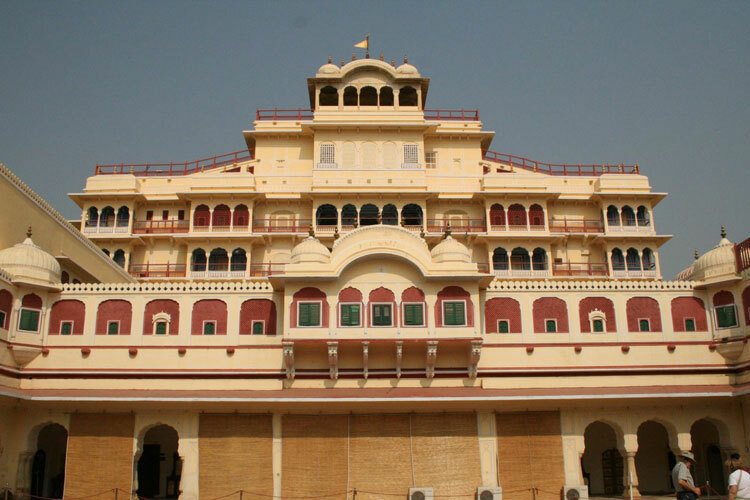 Junagarh Fort is within the proximity of Bikaner. 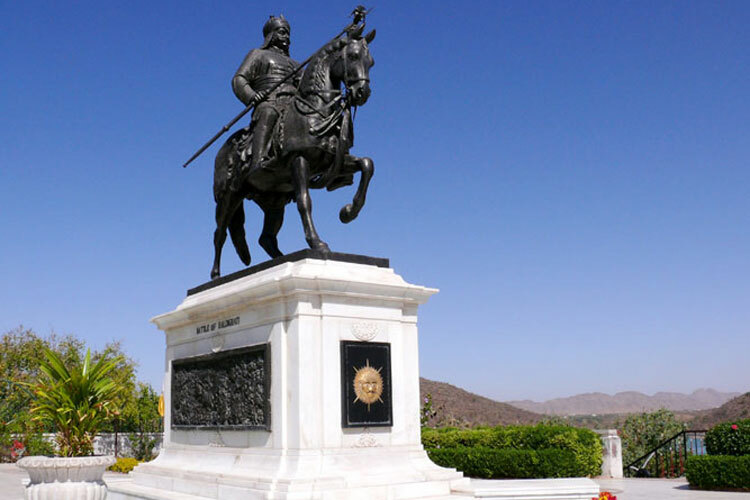 So a trip to Junagarh is the part of the tour. It is famous for gold jewelry. Jaisalmer Journey by deluxe coach across the desert leads to Jaisalmer. The endless deserts of wilderness are juxtaposed with sand dunes, scrub and distant small hutments of villagers. 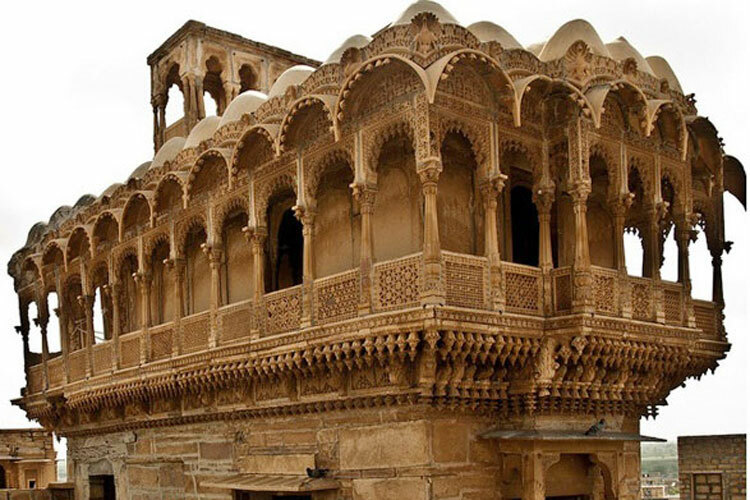 Jaisalmer is a real desert citadel. The entire living area of the city is within a curtain wall, the main bastion of royal palaces further protected by huge ramparts and gates. Jaisalmer hss unique elaborately carved havelis. Built with the famous Jurassic sandstone, the town casts a lovely golden glow. Visit to Sonar Kila, the Fort dominating Gadisar Lake is fantastic. 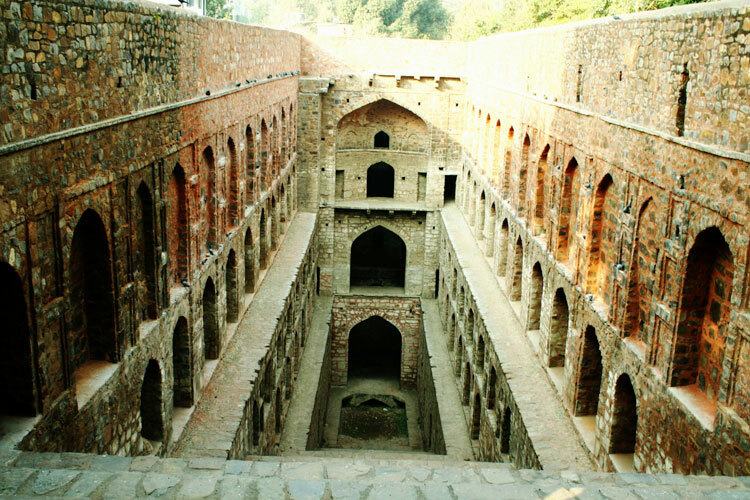 We also explore some of the town’s beautiful havelis and simply wander around the market. 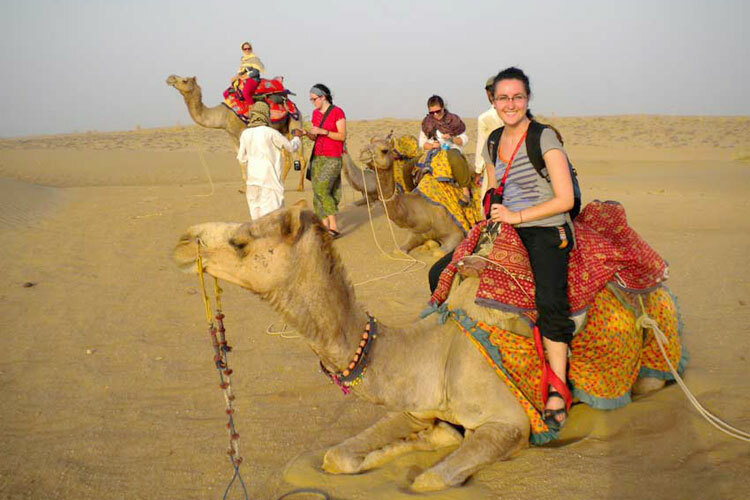 Highlights of stay includes visit to some of the havelis and journey into the desert sand dunes by camel for a view of the magnificent sunset over the Thar Desert. After the breakfast Mehrangarh fort and driver for Ranakpur. 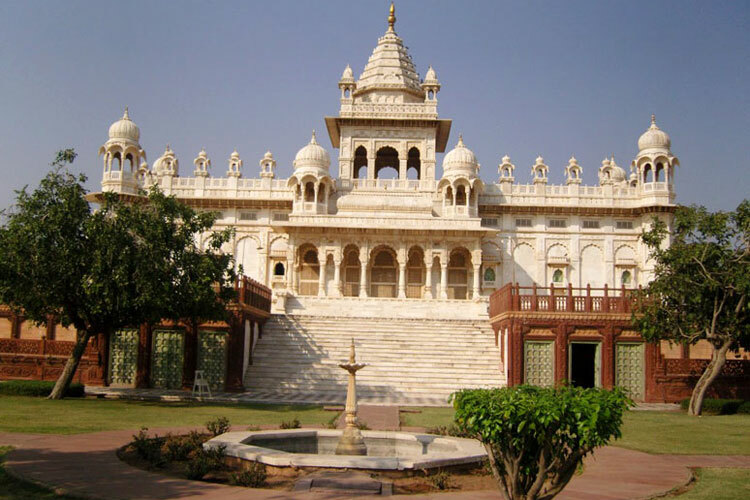 Ranakpur Temple has a beautiful marble Jain temple complex that you visit in the morning. 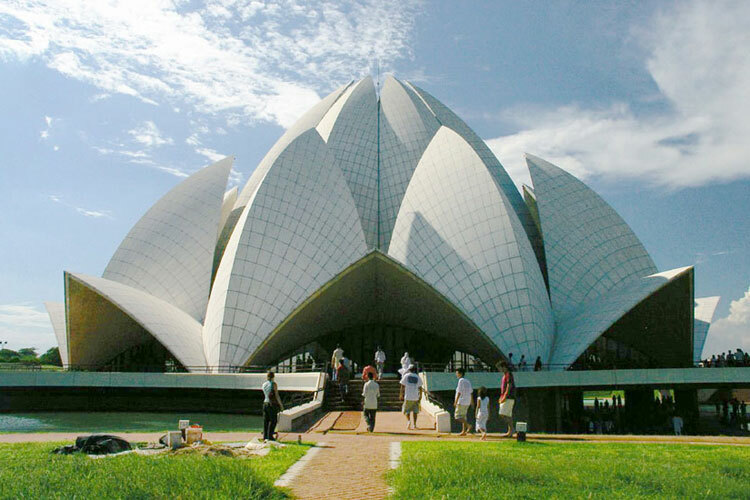 The main shrine is dedicated to Adinath and has 1444 columns. 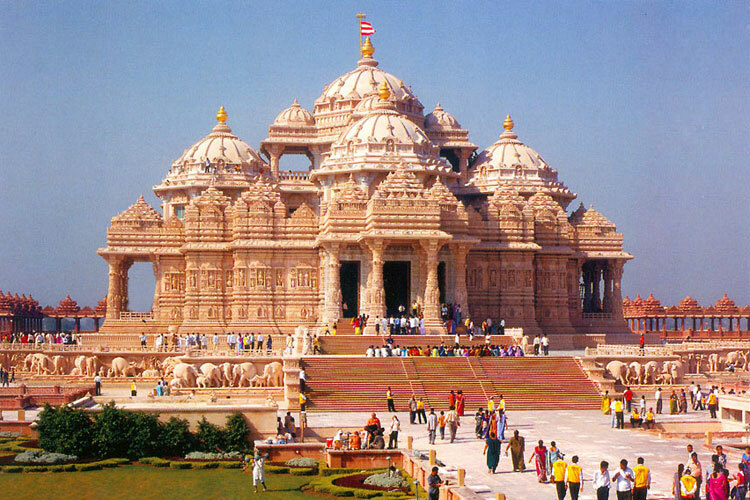 The other temples in the premises include the famous Sun Temple. Later, drive to Udaipur and see the local methods of farming and irrigation on the way. Over night stay in hotel. After breakfast drive for Udaipur on the way visit Kumbhalgarh. The kumbhalgarh Fort was built in 15th century A.D. by Maharana Kumbha (1419-63 A.D.) and is the principal fortification after Chittorgarh, lying 90 km north-west of Udaipur. 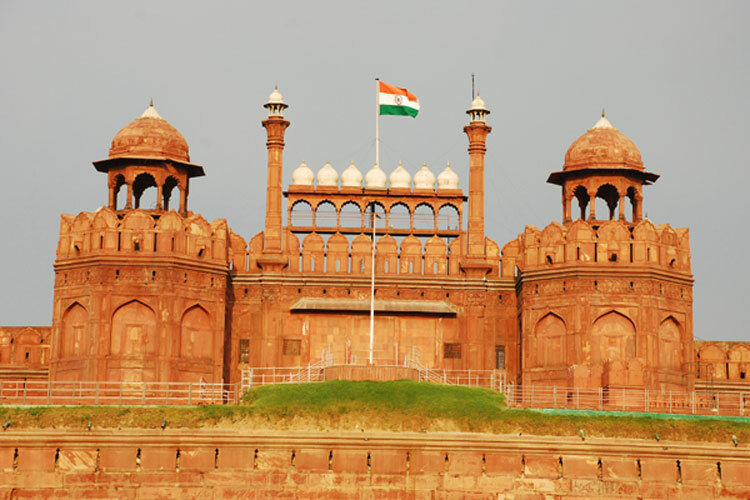 The massive fort, encompassed by a 36 km long wall, has seven majestic gates and seven ramparts, one within the other. Rounded bastions and soaring watch towers strengthen the crenellated walls of the fort making it an impregnable structure. After noon check in hotel. 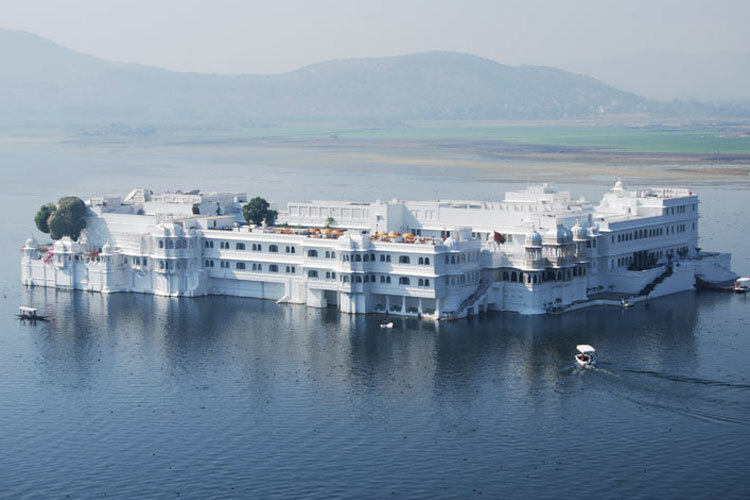 4.00 pm boat ride at Pichola Lake, visit Bagore-ki-Haveli ( Every evening 7.00 pm to 08.00 pm Cultural Programmer is organized especially for tourist ) dinner at lake side restaurant on Pichola lake. 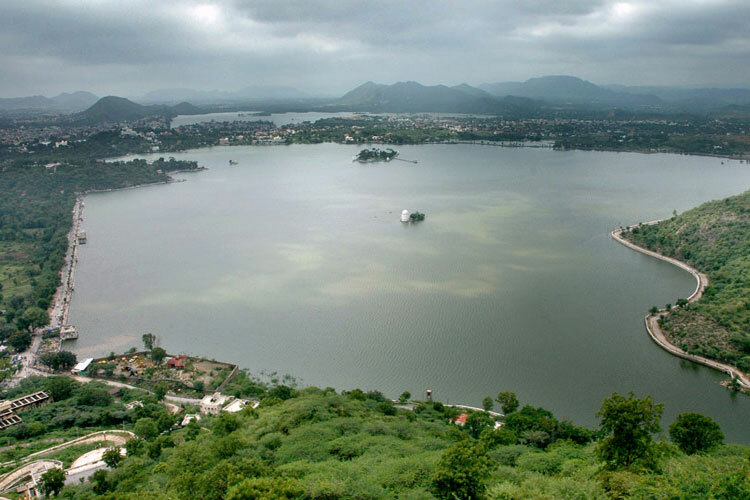 Fateh Sagar Lake, Moti Magari ( The Pratap memorial ), Sahelion ki bari (on the way visit Royal Art & Gem Arts Emporium ) and Sajjangarh for sunset night stay at hotel. 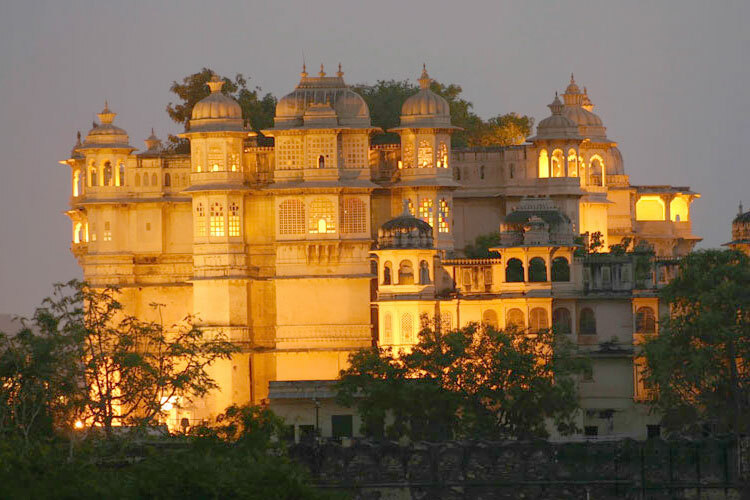 In Morning or After noon you leave Udaipur to the Capital City India by flight, New Delhi. Late in the evening transfer to the Airport for your onward journey. Taj Mahal will be closed to the public every friday.